a little heavy-handed with the 'everything will be safe' rhetoric, but still interesting to watch. f-secure aren't the first ones in the cloud but this is a good medium to explain the benefits of the cloud to the layman. funny commercial by comodo, thanks to the folks at stopbadware.org for bringing it to my attention. if you announce your location on facebook while on the run from the law then you might be a security idiot. 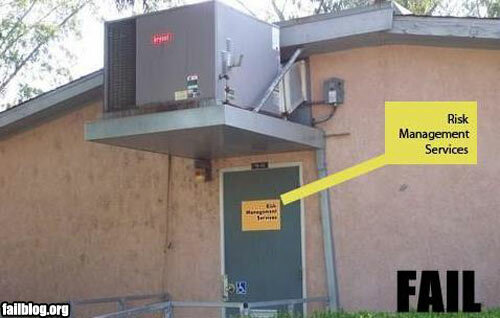 if you think the law will solve your network security problems then you might be a security idiot. if you're proud of all your numbered followers on twitter then you might be a security idiot. if you guessed david harley then you'd be right. i'm not sure if he's going to turn this into a semi-regular thing, but he has done more than one comic and they're quite good. also check out this one about hats. 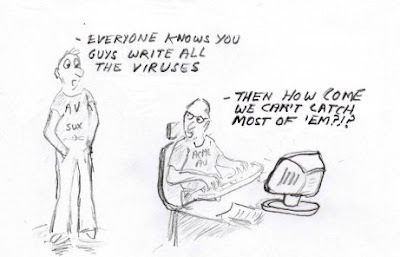 one thing i like about this one here is that introduces a novel way to dispel the urban myth that av companies were the ones making the malware. as av companies become less and less capable in this arena, the myth becomes less and less plausible. if your hard drives find their way to a market in ghana without ever having the sensitive data on them removed or protected in any way then you might be a security idiot. 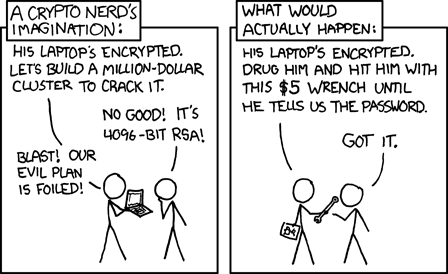 if you laugh when presented with security problems that affect you then you might be a security idiot. if you hardcode your own password into the password stealing trojan you're making then you might be a security idiot. if you sue your auditors because they didn't stop you from doing stupid things then you might be a security idiot. if you sell off the electronic devices used by a presidential campaign without clearing the memory first, then you might be a security idiot. 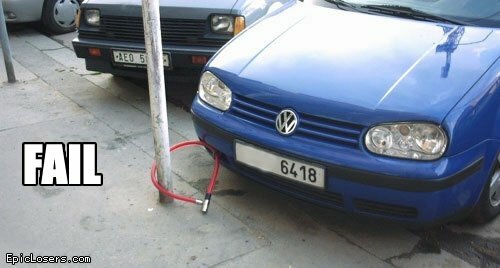 yeah, so in case you didn't realize it, securing a car is a lot different from securing a bicycle. 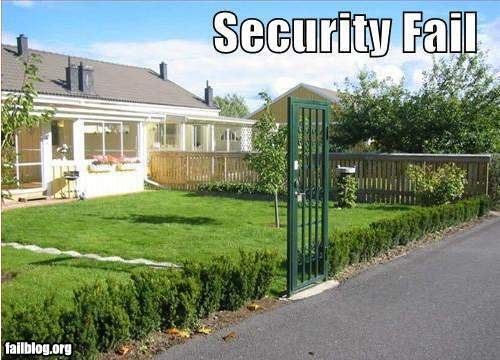 it's really important that your security strategy matches the asset you're trying to secure. i don't think these guys are managing their risks very well, but for some reason i really wouldn't want to go over there and tell them that. sort of like closing the barn door after the horses have escaped - locking this door has absolutely no benefit. a couple of years ago my boss came up to me and started spinning a tale... he told me to imagine i was walking along when all of a sudden i encounter this frog, but instead of just an ordinary frog this is a special frog because it talks... apparently the frog says that it wasn't always a frog and that if i kiss it it will be come a beautiful woman (not to mention other tempting suggestions)... so when my boss finishes this tale he asks me "would you kiss the frog?"... my answer? the social gaming is just an example, by the way, there are any number of reasons why you may be faced with need to add people you don't know well enough to call friend to your friend list and this can present a problem... how can you know the person is safe to add to your profile if you don't know the person yet? on the other hand, how can you get to know the person if you don't make a connection with them using the friend list? go to the friends page and make a new friend list called "Real Life Friends"
now as an example, if there's a photo album you don't want just anyone to see and you've configured that album to with "Limited Profile" in the "Except These People" box then anyone in the "Limited Profile" friend list should be unable to see the photos in that photo album..
obviously a website isn't word of mouth, but hey, stuff that travels by word of mouth has to start somewhere, why not here?